Kali Linux is one of the best Linux Distro used for penetration testing. There are dozens of preloaded tools in Kali which are used for different purposes. All people who want to learn Ethical Hacking are supposed to learn Kali Linux. But, the problem is that most people are using Windows or MAC OS. They can’t use Kali tools while outside Linux OS. In such scenarios, VirtualBox is handy. There’s no need to install Kali on HDD as VirtualBox can simulate Kali. Offensive Security, the developers behind Kali, is offering unique Disk Images for Kali to simulate them on Virtual Box and to minimize the common problems we face while installing Linux distros in VirtualBox. There’s no need to pay for anything as both VirtualBox and Kali OS are free to download and use. You should have an active internet connection and a Computer Machine to get started. Before getting started, you should check the list given below and make sure you’ve all these items ready with you. Once you’ve all these items, you’re ready to step ahead. But you still need to confirm some system requirements. 2GB RAM (Minimum), 4GB RAM Recommended. These are the system requirements. 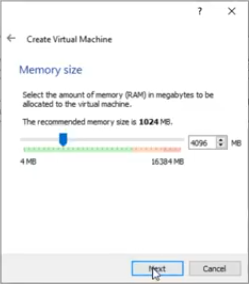 Make sure you’ve 2GB RAM or more than 2GB to run the virtual machine smoothly. It’s also recommended to have at least 10GB disk space if want to install it. Those, who only want to run Kali Live should have least 4GB disk space. If your system is having low RAM, don’t run other software while running VirtualBox. It’ll run the operating system running in VirtualBox smoothly. Install VirtualBox in your system. Make sure you have the latest version of Kali OS ISO. Click the New button on the toolbar to create a new virtual machine. Enter Virtual Machine Name, Set Type: Linux, and Version: Ubuntu. 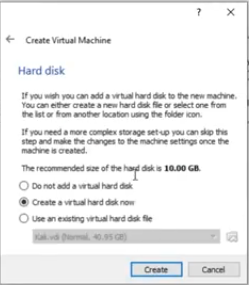 Click Next, specify the RAM you want to assign to VirtualMachine. 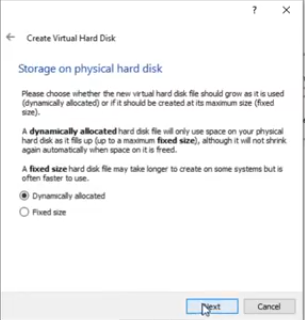 After selecting RAM size, select “Create New Virtual Hard Disk” and click Next. Make sure you’ve selected Dynamic Allocated from the option. Set File Location and Size, Minumum 10GB recommended. 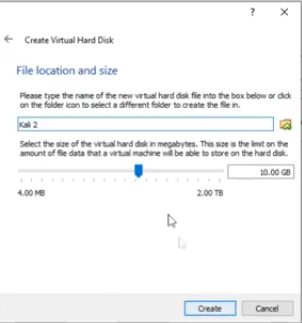 Once done, you’ve created a new Virtual Machine. Click on the Machine, select Settings. 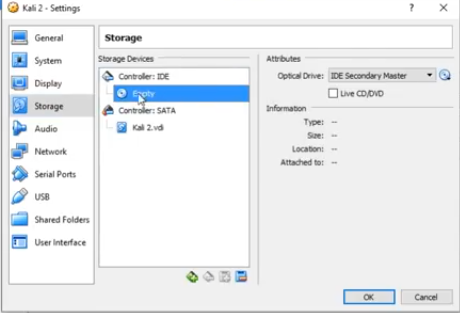 Select Storage tab and click on Empty option. Click on the Disk button and browse the Kali Linux ISO Image file. 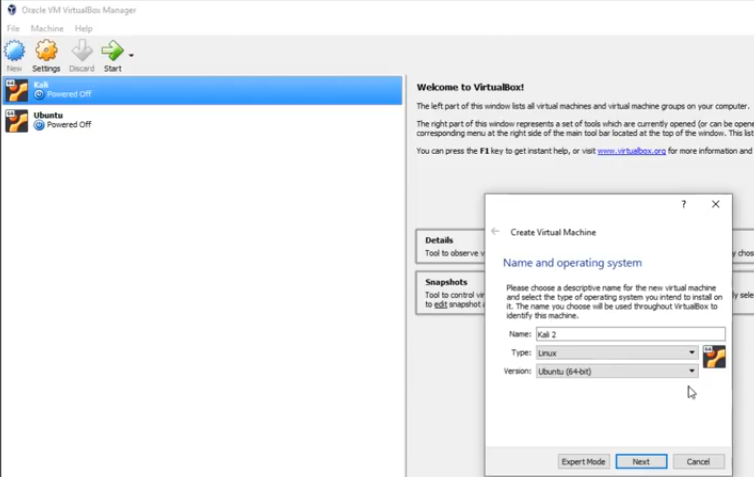 Start the virtual machine by choosing Start option from the toolbar. You can either run it on Live Mode or install it. To install, select Graphical Install option. Continue, and enter the password for root user. Follow On-Screen instructions and wait till Installation is complete. You’ve successfully installed Kali Linux on VirtualBox. These are the steps to download and install Kali Linux on Virtual box. It’s way easier than you think. No additional download or add-ons are required. You can now start learning ethical hacking. Make sure to check out Kali Linux commands to get started with Kali OS. These are basic and works on the system level. All users should have knowledge of these commands to start learning ethical hacking. There are many advantages of installing Kali Linux on Virtual Box. We can run it whenever we want and can enjoy Windows OS at the same time. 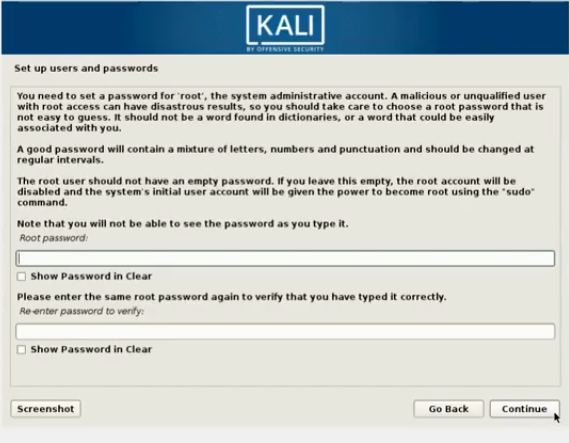 It saves us a lot of time as installing Kali on HDD is full of hassles. I’ve given all the steps to install Kali Linux on VirtualBox with screenshots. Steps are very easy and straightforward to follow. If you’re having any problem with the installation process, comment down below and you’ll receive a quick solution within a few hours. Share this article on social media websites if you found it useful. I know that there are a lot of problems faced during the installation. So, don’t hassle and comment your error down below.